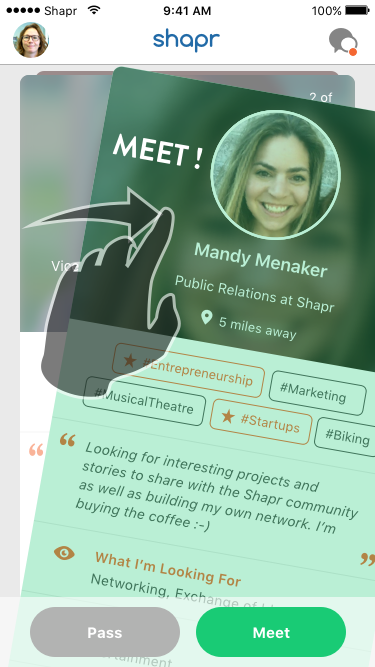 If LinkedIn and Tinder had a baby, it would be Shapr, an extremely smart networking app that revolutionizes the way we build our professional networks and meet like-minded people. Just install Shapr on your phone and look forward to daily lists of inspiring people from your field to meet and network with. And then just swipe left or right to indicate whether you want to chat or meet with the person. The app is extremely easy to use. 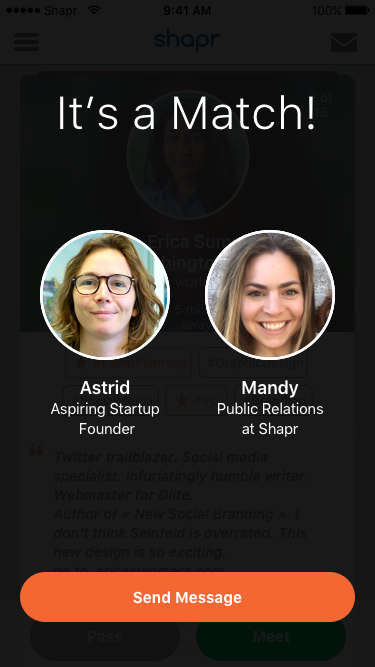 To create your profile, Shapr can use information from your LinkedIn profile or you can do it manually. Then you can choose your interests, list your qualifications and experience, and the industry you work in. There is also a section where users can specify what they’re looking for--be it a new job, a mentor, or simply an exchange of ideas. Then, based on the information you provide, Shapr uses a smart algorithm to match you with other professionals in your area who have the same interests. Bushwick especially is teeming with startups and opportunities to start a new career. Say you’re looking for a new job in social media, Shapr can put you in touch with dozens of the most awesome social media wizards this side of Flushing Avenue. From there, you can choose whether to meet potential connections based on their profiles. Once you match, either connection can opt to start a conversation with the other. Shapr even comes equipped with sample icebreakers like: “Hi, great to connect, I’d love to learn more about what you do.” No more sending cold emails to hiring managers or firing your resume into the dark abyss of the internet application process. This app can put you in touch with hundreds of people who are looking to add you to their professional networks. Don’t waste another day in a lackluster career. Shapr can change the way we think about professional networking.